If one thing is certain, it’s this: good business starts with a great first impression. And nowadays, most of your customers are learning about you for the first time online. One of the best ways to leave a lasting impression is through compelling, inspiring and powerful website design—the type of design that you can’t forget. Ralph Caplan, a successful designer once said, “Thinking about design is hard, but not thinking about it can be disastrous.” Throwing a website together just to have one will do more harm for your business than good. Your design communicates your brand and your message. To help your website communicate your message in a powerful way, here are five website design concepts you should consider. Color has always been and always will be critical to the design of your website. Different colors reflect different emotions and help to tell the story of your brand. But, some brands are taking color to a whole new level by using colorful and whimsical illustrations to catch the eye. 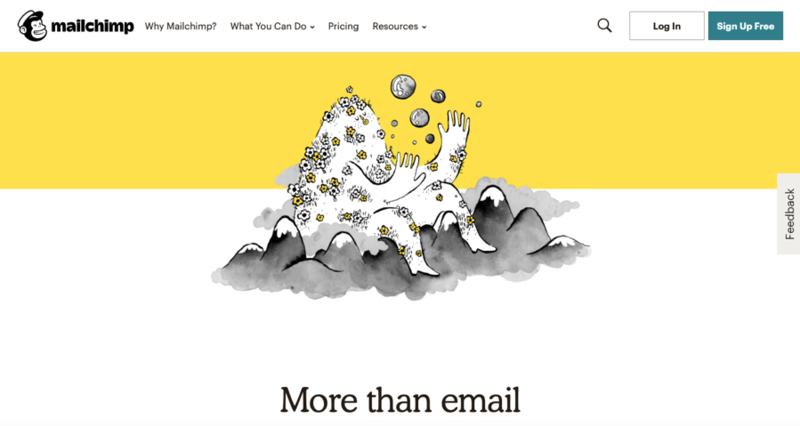 Mailchimp’s new design uses eye-catching illustrations. Mailchimp’s illustration shows a unique character seemingly juggling multiple planets, paying homage to the tag, “more than email.” It tells a story about what they do in an exciting and different way. What’s your brand’s story? A story not only draws your customers in but allows them to connect with you in a deeper way. That connection helps drive those coveted conversions. On your website, place emphasis on your story and what it means for your customer. This includes your mission, vision and values. Airbnb uses customer stories to help tell their own. 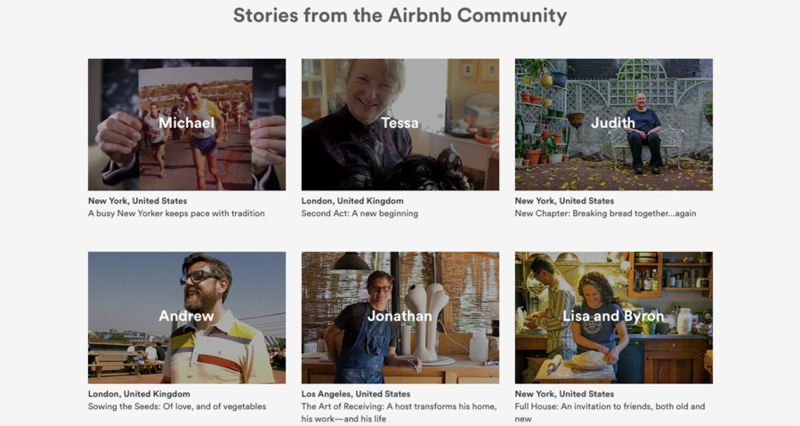 Airbnb uses customer stories to explain their dedication to the customer. Because the company is all about the customer and their needs, they make the overarching story all about them as well. Flat design uses two-dimensional elements to create a sleek and modernized look on a website. It’s easier to use and places focus on user experience. There are no 3D elements and everything is kept relatively minimal for easy scanning and viewing. A website that’s easy to navigate is always best. 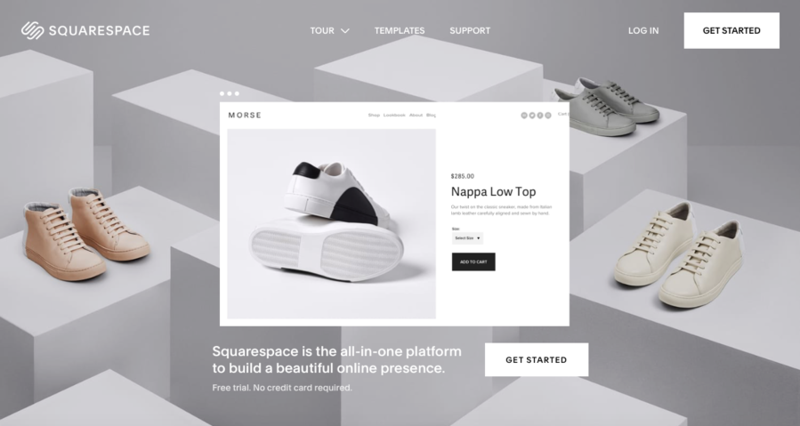 Squarespace uses flat design to keep things simple. Your brand’s message must be front and center on your website. 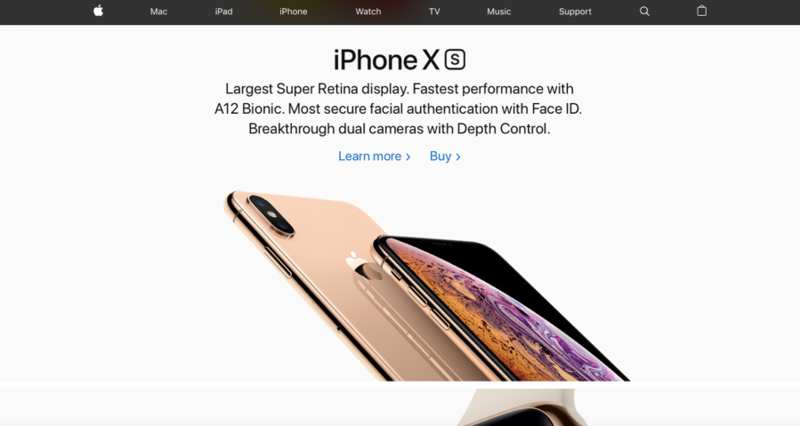 Some brands, such as Apple, are using minimal design to take a “less is more” approach. And it works! Images catch the eye of the viewer and direct messaging tells the story. Just like flat design, the less–is–more approach is easy to read and scan, helping your customers find what they’re looking for fast. Apple is known for minimal design that is simple to read and understand. It’s often said that good web design provides a sense of harmony and balance. Symmetry, or using a design made up of the same parts on both sides, is used to create that balance. But, some websites are using asymmetry to make a bolder statement. They’re mixing shapes, elements, and typography to make things interesting to the eye, drawing the viewer in. 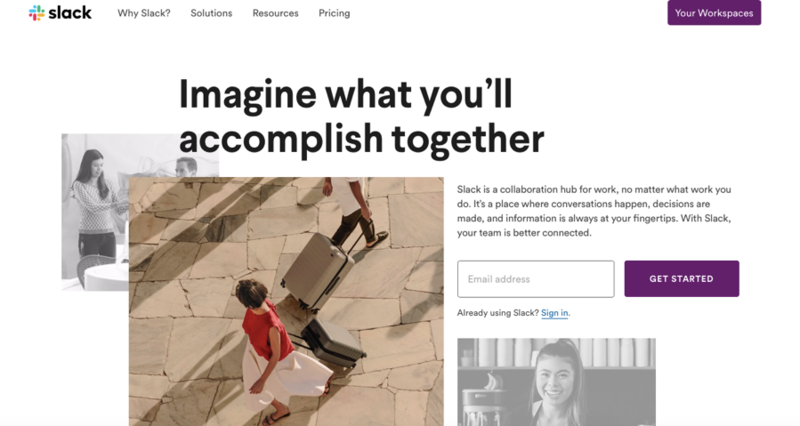 Slack uses asymmetry to draw website visitors into their message. Slack’s design is slightly off center but communicates a feeling of collaboration—exactly what Slack does for its users. How Powerful Is Your Website’s Design? These designs have one big thing in common: they stay true to the company’s brand. Is your website doing the same? Is your website design as powerful as your message? To learn more about getting a powerful website design that ensures your website leaves the right impression on your visitors, send us a message.